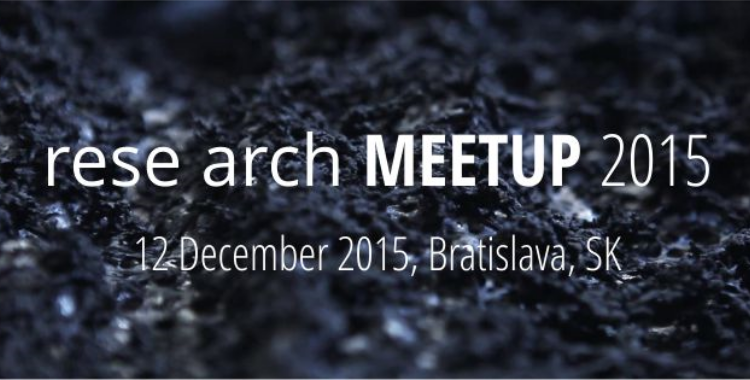 Andrea Graziano and Alessio Erioli will be lecturing, with other guest speakers, during the “rese arch MEETUP 2015” event which will be held on 12 December 2015 in Bratislava. The “rese arch MEETUP 2015” topic is: Design by behavior – from biomimetic towards morphogenetic. ← Co-de-iT at “Reworking the City” conference in Belgrade.